Plovdiv will be officially declared European Capital of Culture for 2019 at a Tuesday meeting of the Council of the European Union. The issue has been included in the provisional agenda of the meeting on May 19, according to Darik radio. Plovdiv Mayor Ivan Totev and his deputy Stefan Stoyanov left for Brussels on Monday. The two will attend the meeting and Totev will make a short presentation on the city accompanied with video footage. Kristalina Georgieva, Bulgaria’s commissioner in Brussels,will also be present at the meeting. Plovdiv is to be officially declared European Capital of Culture for 2019 around noon. 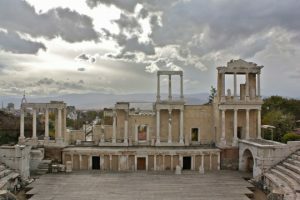 Bulgaria’s southern city of Plovdiv won the title on September 5, 2014 in competition with Sofia, Varna, Veliko Tarnovo, Ruse, and Burgas, according to the Bulgarian National Radio.